Hello and welcome to my blog. Today I have a fantastic Online Class to tell you about. It is a Christmas Gift Giving Class. Just in time for all those little gifts we need to find for the kids coaches, teachers and friends. This class will help you make inexpensive gifts and gift packaging ideas for Christmas and beyond. 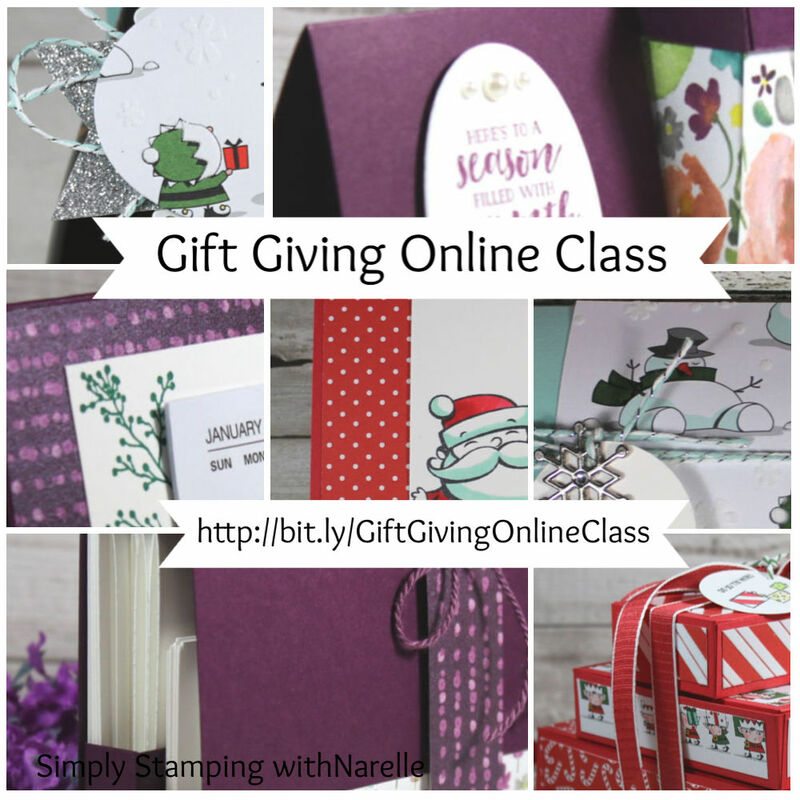 This class works a little differently in that you won't get kits, but instead you will get the supplies you need along with a detailed tutorial for 8 fantastic gift giving projects. And there are 6 fantastic bundles of paper and embellishments to choose from. So why not take the hard work out of your Christmas Gift Giving and packaging, and sign up for the class today. Registrations close November 30.